Ready to indulge in cool-weather comfort food? This dish always makes the cut with its balance of savory pork and creamy polenta. 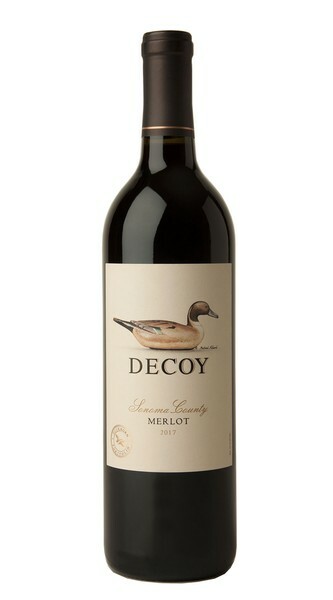 The only way this recipe gets better is to enjoy it paired with a bottle of Decoy Merlot! Season pork with salt and pepper and toss to coat. Warm olive oil in a large pot over medium-high heat. Working in batches, arrange pork in the pot in a single layer and cook, turning occasionally, until browned all over. Remove from pot and set aside. Remove all but 2 tablespoons of fat from pot. Add onion, carrot, celery and garlic and cook over medium heat, stirring occasionally, until tender, about 8 minutes. Return pork and any accumulated juices to pot. Add next nine ingredients (tomatoes through cloves) and fill pot with just enough water to cover the pork. Bring to a boil and then reduce heat to medium. Cover and simmer until meat is fork tender, about 1½ hours. Remove from heat, discard bay leaf and shred pork with two forks. Cook, uncovered, over medium heat until ragù has thickened, about 10 minutes. Add kale and currants and simmer until kale wilts, about 1 minute. Season with additional salt and pepper to taste. In a large pot, bring 6 cups salted water to a boil. Gradually whisk in the polenta. Reduce heat to medium-low and cook, whisking constantly, until thickened, 20-25 minutes. Remove from heat, add butter and Asiago cheese and stir to combine. Season with salt and pepper to taste. Serve with pork ragù. Put the currants in a small bowl and cover them with hot water; let them plump for at least 10 minutes. Drain.